Free HotSpot can successfully increase profits or can be a complete disaster. Offer free Wi-Fi access with Email, SMS, Keyword authentication. Limit speed, bandwidth and time, to keep your hotspot functional. Free Wi-Fi can be found everywhere today. You can make a free hotspot too, but if you fail to set a bandwidth cap, it will lead to a nonfunctional hotspot. An average iPad user consumes several times more bandwidth than the average Laptop user. If data transfer is not controlled and limited, some customers may consume all your bandwidth, and leave other customers unable to connect or have decent browsing experience. Antamedia HotSpot efficiently limits both download and upload rate for each customer connected to your network, limits bandwidth quota (maximum data transfer), or sets limits on a daily level. Free Wi-Fi access can be used as a trial of your services. Once the customers are convinced, they can upgrade to a higher level account. HotSpot software helps you offer Free WiFi access to customers in your Hotel, Restaurant, Cafe etc. Upon accessing your hotspot, customer is automatically redirected to your self-branded Hotspot page. 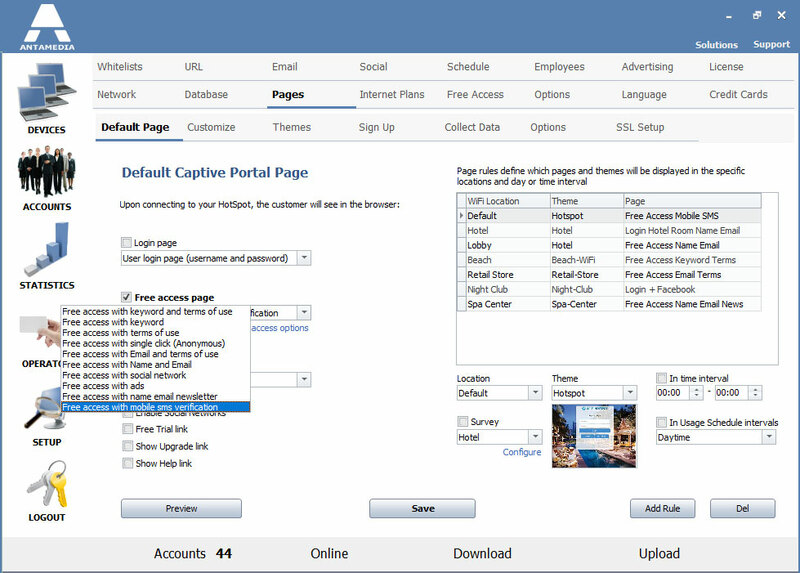 To get the Internet access, customer may click a start button, enter a shared keyword or name/email combination. Password can be sent to a provided Email address. 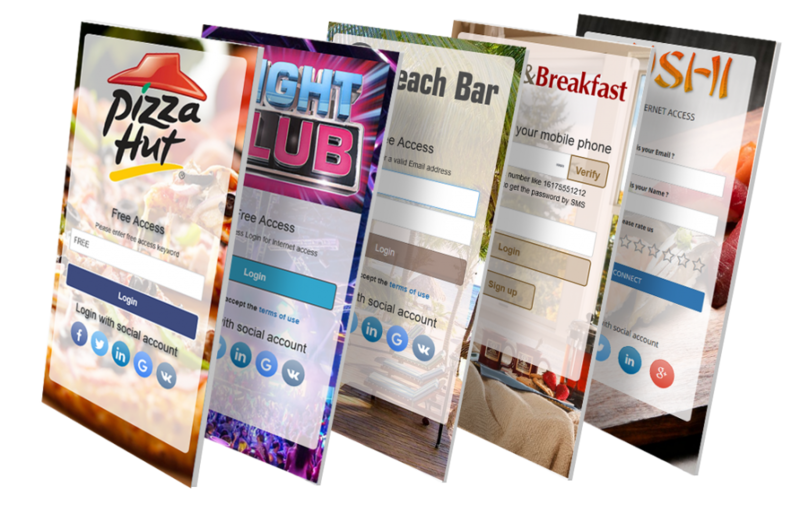 Free Hotspot will control the duration, speed and bandwidth, and optionally collect your customers e-mail, name, address, for your safety and marketing activity. 4. Configure limits for free users on HotSpot – Setup – Free access page (these limits will be applied to Free users without an account and for accounts created with Free Sign Up). After setting all desired options, you can test free access by opening the browser on the client pc and navigating to some website.